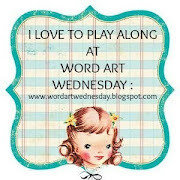 I was asked to be a Guest Designer for Word Art Wednesday for the month of August. What an honor and a pleasure it was to be asked. 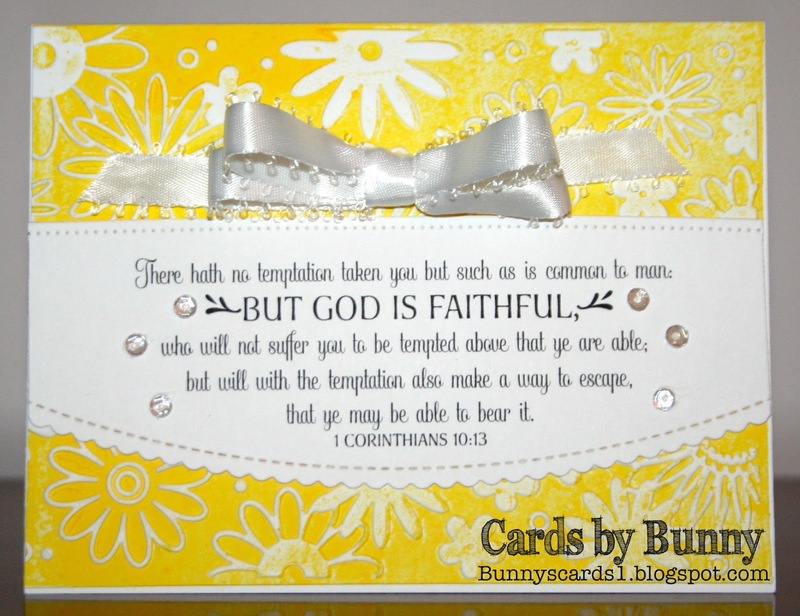 I'll be keeping my cards fairly CAS to showcase the beautiful scripture. I hope you'll get a chance to play along. The scriptures are free and can be found at the link above. Really lovely card and love the scripture. Oh it is truly amazing to be GDT for WAW Bunny! I enjoy playing along in their ATG challenges. Congrats and wishing you a wonderful day! Yikes!!! I am vacation in Minnesota (at my Mom's) and I really messed up with this post for Word Art Wednesday. I guess that's what happens when I'm off having fun, and "under the influence of too much ice cream". I had the link wrong for your card, and also hadn't updated the Guest Designer information. I just went on the WAW Blog and updated everything. Sorry for the confusion and mess-up. I also tweeked the post to let people know how terribly I messed up. SO sorry. I certainly didn't mean to steal your thunder, and i greatly appreciate your involvement this month. All is well my friend. We just had ice cream in honor of you going to your favorite place for ice cream. Well............that's my story and I'm sticking to it. Everyone should eat ice cream for supper once in a while. Have fun on your vacation.